L-Theanine is the non-dietary amino acid compound found in tea that helps reduce stress levels and promotes a calm, relaxed state of mind. People mostly tent to use it in combination with caffeine (because they’re both found in tea!). The L-Theanine and caffeine combination is a great Nootropic stack. Many people on the internet search for the top L-Theanine benefits, or the L-Theanine anxiety connection. In this article, we’ll explore the top 6 L-Theanine benefits and how they can benefit you! We’ll also look into the top L-Theanine dosage. For more information about L-Theanine, take a read through our product description. One of the top search terms that people are looking for today is: ‘L-Theanine for Anxiety’. The question is: why? Well, there are actually a number of reasons that some people have used L-Theanine for anxiety in the past. One of the top L-Theanine benefits is its ability to increase relaxation and calmness without producing sedative effects. Your brain converts L-Theanine into GABA. GABA is your body’s ‘relaxing’ neurotransmitter, dulling signals from the central nervous system and promoting a calmer state of mind. A number of studies have examined the use of L-Theanine for anxiety. In fact, scientists have found that L-Theanine's anti-stress and relaxing effects are most noticeable in people with high baseline anxiety. A very new study from 2016 looked into the potential L-Theanine benefits for stress and anxiety reduction. Researchers conducted examinations on the effects of L-Theanine on 34 healthy male and female volunteers. Scientists found that an L-theanine dosage of 200mg significantly reduced the volunteer's response to stressful stimuli, around one hour after the dose was taken. 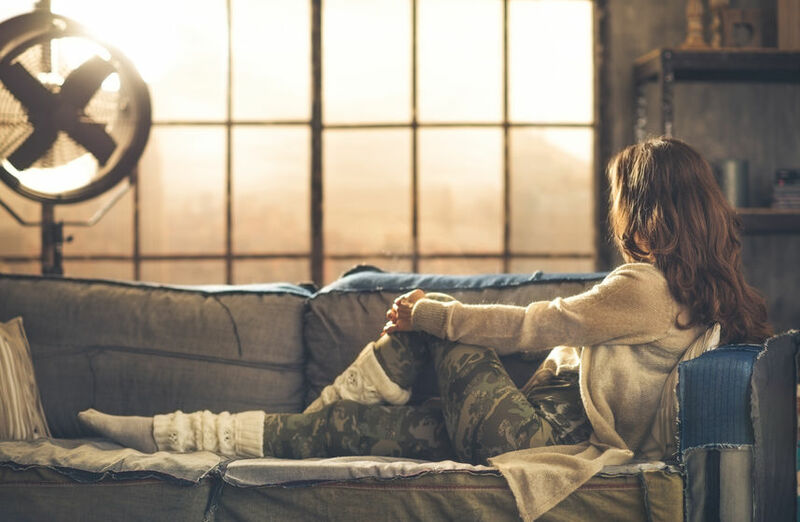 The scientists also found that there was a significant increase in alpha brain wave activity, especially for those people who suffered from prior anxiety. Another study, from 2013, found that L-Theanine significantly reduced stress in pharmacy students as they began their pharmacy practice. Researchers measured salivary α-amylase activity (sAA) as a test of baseline stress levels. The results showed a significant decrease in these levels for the participants who took an L-Theanine supplement. These examples, along with the many other studies with similar results, help to show why so many people on the internet are searching for ‘L-Theanine for anxiety’. It’s important that we stress the fact that L-Theanine is sold as a dietary supplement only. It is not intended to treat, diagnose, or cure any disease or ailment. It is best taken as an addition to a healthy diet and lifestyle. 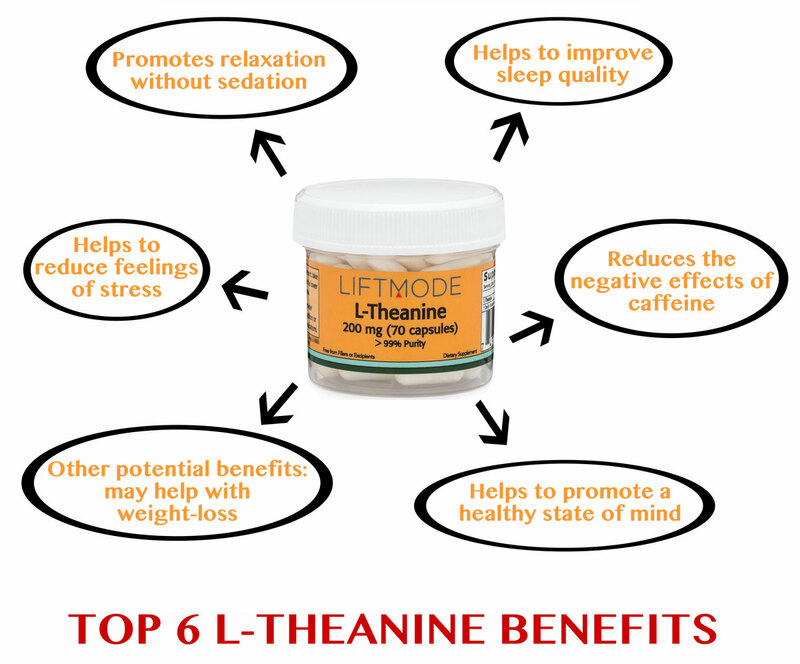 In this article, we'll explore the top 6 L-Theanine benefits, and how anybody can use this wonderful supplement for relaxing and calming effects. The main sections of our article are outlined in the table below. Click the links for more information! One of the most researched L-Theanine benefits is its ability to promote a state of relaxation without sedation. This wonderful benefit has been proven in multiple studies and scientific journal reviews. For example, in one study, the effects of L-Theanine on attention and reaction time was studied on 18 Japanese student volunteers. The students were divided into ‘high-anxiety’ and ‘low-anxiety’ groups, based on their answers to a set of questions. Both groups were given L-Theanine and placebo in repeat experiments. The results showed a significant increase in alpha brainwave activity, lowered heart rate, enhanced cognitive performance, and improved reaction times. These effects were seen mostly in people in the ‘high-anxiety’ group. In another study, twenty healthy Korean male volunteers were given L-Theanine to examine its effects on alpha brain waves. Again, the volunteers were divided into control (placebo) and test (L-Theanine) groups and the experiment was repeated after a week, switching groups. The study found a significant increase in alpha-waves for volunteers with a high anxiety propensity. This indicates that L-Theanine is especially helpful at promoting relaxation in people who feel anxious. Q. 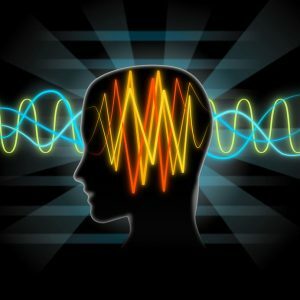 What are Alpha Brain waves? Researchers have found that L-Theanine helps to increase the activity of alpha brain waves. So, what are alpha brain waves? You can think of your brain as a biochemical, holographic electrical machine. All your thoughts, emotions, sensations and perceptions depend on the communication between neurons (brain cells). Throughout your life, you develop patterns of thoughts and emotions. These patterns ‘wire’ certain neurons together (this is a process called neuroplasticity). The continued firing of certain neurons literally ‘wires’ your brain to work in a certain way. Brain waves are the detectable activity of neurons firing in your brain. The rate at which the neurons fire is measured in Hertz. Neurons firing means neurons communicating. A slower communication rate is associated with a more relaxed state, whereas a faster rate indicates processing of information and alertness. Delta Waves (0.5 – 3 Hz) à these are the slowest types of brain waves and are associated with deep, dreamless sleep. Theta Waves (3 – 8 Hz) à these brain waves are also associated with sleep but have been found in Zen meditators during meditation practice. Alpha Waves (8 – 12 Hz) à Alpha brain waves are thought to be your brain’s default state. These brain waves are produced during meditation and aerobic exercise. They indicate a calm, relaxed, and awake mind. Beta Waves (12 – 30 Hz) à Beta brain waves are ‘attention’ waves, and usually dominate our brain’s activity during wakefulness. This fast speed of neuron communication indicates thought, attention, and alertness. However, too much Beta brain wave activity is associated with depression and anxiety. Gamma Waves (25 – 100 Hz) à The ‘fastest’ type of neuron communication is associated with the simultaneous processing of information from different areas in the brain. This is thought to be indicative of ‘higher’ states of consciousness. Although it is difficult to ascertain exactly which brain waves correspond to what thoughts or sensations, scientists have known for a long while that alpha brain waves are increased in states of relaxation and mediation. 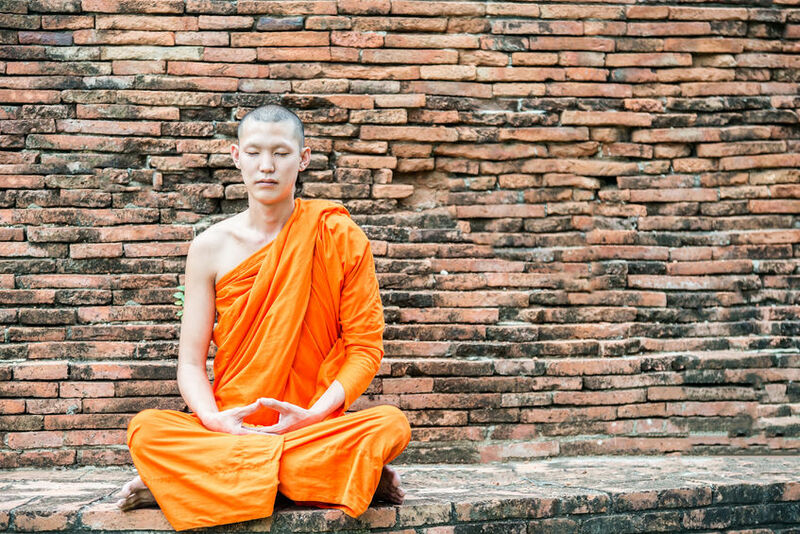 Increases in alpha brain waves are generally indicative of a calmer state of mind. This is great for pretty much anybody living in modern urban society, where we are constantly bombarded by stimuli. 2. L-Theanine for Stress: Potent Stress Reduction! Apart from its great relaxing effects, L-Theanine is also really good for stress reduction. Many L-Theanine users report feeling a noticeable reduction in their levels of stress after an L-Theanine dose. In fact, this is one of the top Theanine effects. In 2012, Japanese scientists set out to examine the effects of both L-Theanine and caffeine on stress levels. In three separate trials, using either L-Theanine, caffeine, or placebo, the researchers found some interesting results. The researchers found that the L-Theanine supplement significantly reduced blood pressure rise in response to stressful stimuli. The Mood Profile report after mental tasks also indicated a decrease in mental stress. An earlier study came to the same conclusion about the effects of L-Theanine for stress. The Japanese study again found that L-Theanine helped to reduce the heart-rate increase in response to stress. This clearly indicates the potential for L-Theanine to be used as a stress-reducing supplement. Again, many people are asking about using L-Theanine for sleep. It follows that a supplement with such powerful relaxing and stress-reducing effects would be used by some people to promote sleep. Actually, it’s true that using L-Theanine for sleep is one of the top L-Theanine benefits! A 2011 study on children with attention problems found that the L-Theanine supplement was a great way to improve quality of sleep and reduce time to fall asleep. The sleep percentage scores and sleep efficiency scores all improved significantly for children using the L-Theanine supplement. Not only this, but there was also a trend towards less sleep-time physical activity as dosage increased (indicating more restful sleep). This is a great finding because it potentially gives people a natural alternative to help promote healthy sleep. Using L-Theanine for sleep is a good option due to the safety factors. L-Theanine side effects are pretty much non-existent, especially compared with other compounds that people use to help with sleep. Not only is L-Theanine great for promoting calmness and relaxation while reducing stress, it seems that it may also be helpful in promoting a healthy state of mind. This is the single human study that was conducted on patients with a neurological disorder. There is definitely room for more studies into the effects on L-Theanine on promoting a healthy mental state. At least one animal study has found that L-Theanine may have the potential to work as a powerful cognitive performance enhancer. A 2014 study on rats found that L-Theanine helped to improve object recognition memory up to 48 hours after a single dose. 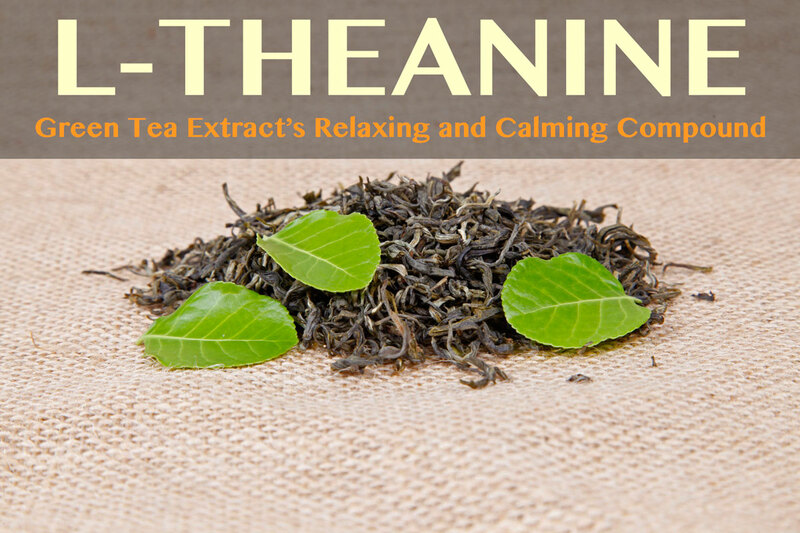 L-Theanine’s primary natural source is from green tea, Camellia sinensis. Green tea is actually high in caffeine. A single cup of green tea has around a third the amount of caffeine as a cup of coffee. Green tea L-Theanine use is especially prevalent in Asian countries, where people have been drinking it for over a thousand years as a health drink. This is why scientists started studying the effects of a combination of L-Theanine and caffeine. Numerous studies have found that there is a very real positive connection between L-theanine and caffeine. It seems that L-Theanine is able to counteract some of the ‘negative’ effects of caffeine – including the jitteriness and caffeine-related anxiety. In a 2010 study, scientists published new data showing that the combination of L-Theanine and caffeine improves cognitive performance. 44 volunteers were given just under 100mg of L-Theanine and caffeine dosage of 40mg. The results showed that this combination significantly improved task-accuracy, mental focus, alertness, and reduced tiredness. These results indicate a strong improvement in cognitive performance. A newer study, from 2015, found that L-Theanine was beneficial in increasing cerebral blood flow (CBF). 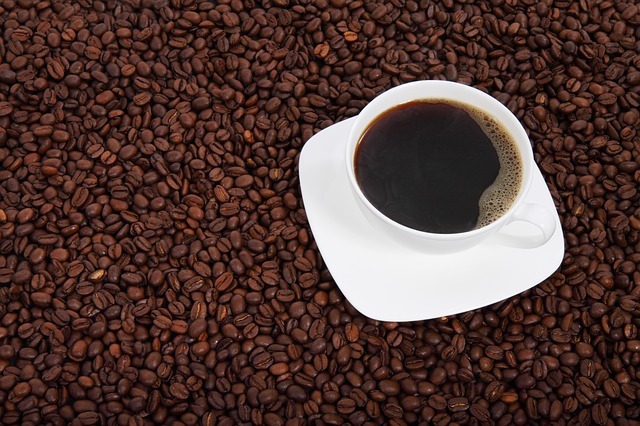 This is great news, because caffeine is known to reduce CBS and increase blood pressure. The study showed that L-Theanine may be effective at reducing these effects. Taking this studies into consideration, it is no wonder that many people have made the L-Theanine Nootropic connection. This powerful supplement may be even better at producing results when combined with caffeine. L-Theanine and caffeine go really well together! Many people ask about the L-Theanine weight loss connection. There haven’t been any studies as yet to examine whether L-Theanine can directly help with weight loss. Nevertheless, a growing number of people claim to have experienced some weight loss L-Theanine benefits. L-Theanine may be indirectly useful for weight loss by promoting a calm and relaxed state of mind. Many studies have linked stress to overeating and negative lifestyle choices. These directly contribute to weight-gain. By helping to reducing stress and improve sleep, L-Theanine may be helpful for people looking to manage their weight! What is the best L-Theanine dosage? If you’re wondering about how to take L-Theanine, a good place to start would be to check out our blog post on the best L-Theanine dosage. Most of the studies that we’ve reviewed have used an L-Theanine dosage of around 200mg, two to three times daily. However, an L-Theanine dosage as low as around 50mg has been found to have beneficial effects. Some people actually prefer to use a larger dosage. Many people wonder about L-Theanine 400 mg and how this can help with stress reduction. One of the best L-Theanine benefits is that it is virtually free from side effects, even at larger dosages. So, using L-Theanine 400 mg for stress or sleep may be beneficial to some people. For more information about how to take L-Theanine and L-Theanine side effects, please take a read through our in-depth product description. Taking L-Theanine for stress is a great natural option for everybody! See our upcoming article on potential L-Theanine side effects and interactions, especially if you are using any other herbs or medications. In conclusion, L-Theanine is a wonderful and powerful natural supplement for reducing stress and promoting a relaxed state of mind. The top L-Theanine benefits include L-Theanine for stress reduction and L-Theanine for relaxation. Other benefits include L-Theanine for sleep, and helping to promote a healthy state of mind. L-Theanine and caffeine are great together and create a wonderful synergistic stack to improve cognitive performance. This is why many people make the L-Theanine Nootropic connection (it is considered a Nootropic because of its effects on your mental state and alertness). L-Theanine is a great supplement choice for anybody looking for a natural stress-reducing supplement that can help promote relaxation without making you drowsy. DJ White et al., “Anti-Stress, Behavioural and Magnetoencephalography Effects of an l-Theanine-Based Nutrient Drink: A Randomised, Double-Blind, Placebo-Controlled, Crossover Trial”, Nutrients. 2016 Jan; 8(1): 53. K Unno et al., “Anti-stress effect of theanine on students during pharmacy practice: positive correlation among salivary α-amylase activity, trait anxiety and subjective stress”, Pharmacol Biochem Behav. 2013 Oct;111:128-35. J Lagopoulos et al., “Increased theta and alpha EEG activity during nondirective meditation”, J Altern Complement Med. 2009 Nov;15(11):1187-92. K Kimura et al., “L-Theanine reduces psychological and physiological stress responses”, Biol Psychol. 2007 Jan;74(1):39-45. Epub 2006 Aug 22. MS Ritsner et al., “L-theanine relieves positive, activation, and anxiety symptoms in patients with schizophrenia and schizoaffective disorder: an 8-week, randomized, double-blind, placebo-controlled, 2-center study”, J Clin Psychiatry. 2011 Jan;72(1):34-42. SJ Torres, CA Nowson, “Relationship between stress, eating behavior, and obesity”, Nutrition. 2007 Nov-Dec;23(11-12):887-94. Epub 2007 Sep 17.